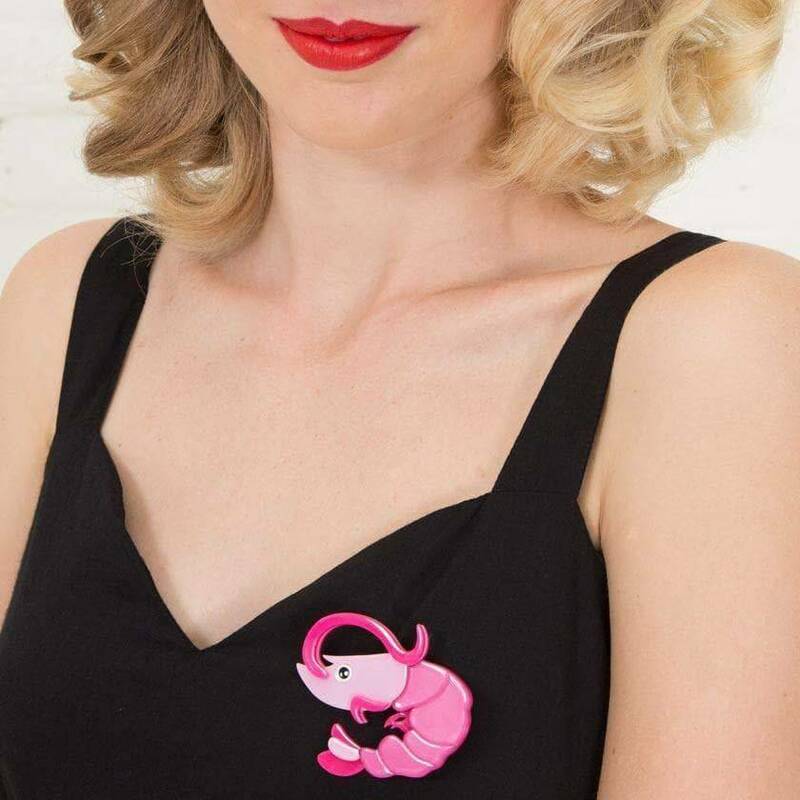 The humble prawn in its natural habitat. A secret super hero of the seas. Just don’t mention barbecues! 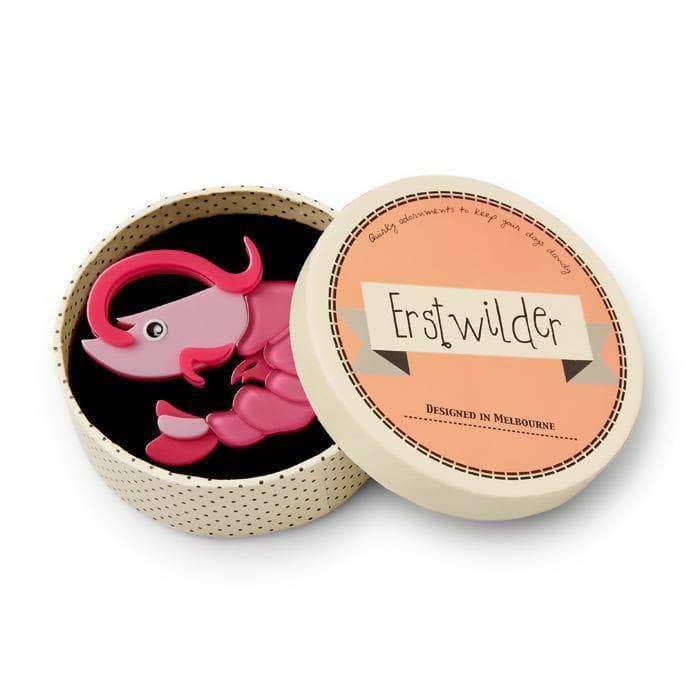 Unfortunate acronyms aside, Erstwilder's bright pink prawn brooch, hand-assembled from a combination of bubble and solid resins, prefers not to be grilled on the origins of his name. With hand-painted details this guy is certainly no shrimp.